When people think of a tea ceremony, many think of the Chanoyu in Japan. Others say that “gongfu cha” is a ceremony. 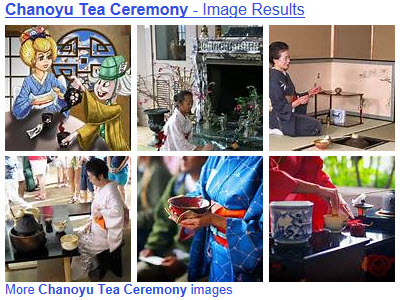 Plus many Asian countries have ceremonies for enjoying tea, such as Darye in Korea. (Some folks say that the only true tea ceremony is the Chanoyu in Japan, that the ones in other countries are poor imitations. I don’t know either way. And that debate needs to remain the subject of another article.) Regardless of the type of tea ceremony, a ceremonial tea is needed. The chief among these is matcha, but it’s not the only one, as you will see below. In contrast to Chanoyu, the Korean Way of Tea is far less rigid. Koreans seek to maintain a feeling of naturalness, so the steps initially seem complicated but are really fairly easy to master. This ceremony can be held both alone or with others. The tea served is a special one called Panyaro, which means “The Dew of Wisdom.” It’s making was by Tea Master Chae Won-hwa. You can see some photos of the process here. Actually, “gongfu cha” (or alternately “kungfu cha”) means tea preparation done with skill. We often associate this with certain procedures, employing either gaiwans or Zisha clay pots called Yixing after the area where the clay is from. This is a tea ceremony in Japan centered around a highly ritualized preparation and serving of matcha. As far back as the 14th century, the Japanese, starting with the upper class, have been gathering socially to share matcha. Over time certain rules and procedures were developed for participants to follow. By the 16th century the form of ceremony that we are familiar with today was formed by Tea Master Sen no Rikyu. The guiding principle was Zen Buddhism where people seek to become one with nature and thus purify themselves. One key principle is economy of movement. Everything is stylized to assure this. Another principle is the full appreciation of everything involved, including the room and all teawares used. This aesthetic sense carried through to other aspects of Japanese cultural, creating a wave of influence for centuries. The short of it: matcha is a high-grade green tea processed to a powder form. Matcha is a very special tea, made from the finest, shade-grown, and hand-picked tea buds. The shade slows down growth and causes the leave to produce more amino acids and turn a darker green than normal. They also develop a more intense sweetness and deeper flavor. The buds are steamed, dried, and then laid out flat to dry – not rolled as other green teas are. This is the tencha – the unpowdered leaves. Next the leaf veins and fine stems are removed and they are ground to a fine powder using the traditional stone grinding wheels. The grinding can take up to an hour to do 30-40 grams. Matcha is graded according to the location where those leaf buds are grown on the stems of the tea bush (higher up is better), careful treatment during processing that includes care to avoid exposure to sunlight, using the proper grinding equipment to avoid a “burnt” quality, and avoiding exposure to oxygen that makes it turn a dull brownish green and develop a hay like aroma. The powdered form of this tea means it dissolves in the water and is therefore consumed along with that water, fairly unique for teas. This quality, however, makes it an ideal tea for Chanoyu. There is no messy clean-up of spent tea leaves. You don’t have to have a ceremony to enjoy either Panyaro or Matcha or, for that matter, any other tea. You have only to know how to prepare the tea and, once prepared, to enjoy it. Cheers!